The consequences and effects of drug addiction are vast and affect people of all ages; medically, socially, economically, and legally. Most people don’t understand that with addiction it changes the way we behave and the way the brain functions – it is actually considered a disease but that doesn’t mean you can’t overcome addiction. Drug abuse and addiction to alcohol, nicotine, marijuana, and other illegal substances cost the American people half a trillion dollars a year when the combined medical, social, economic, and social impact are all taken into account. 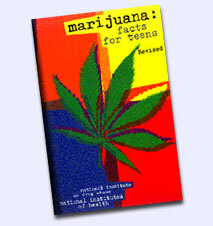 Drug and alcohol abuse are responsible for over 100,000 deaths in the US each year. Addiction is defined as a chronic, relapsing brain disease that is characterized by compulsive drug seeking and use, despite harmful consequences. The reason it is considered a disease of the brain is because drugs change the brain by changing its structure and the way it works. These changes can be long lasting, and can lead to the negative behavior. There are several reasons why people begin to use weed. Some might do it to feel good, peer pressure, boredom, rebellion, curiosity, or to escape life. Smoking weed can produce an intense feeling of pleasure. Other effects might include the feelings of power, increased energy, self-confidence, relaxation, and satisfaction. 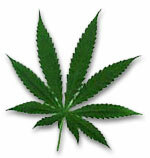 In the beginning, people may experience what appears to be positive effects with smoking weed. They typically think they are in control and can stop any time, the becoming an addict part will never happen to them and they can stop using at any time. However, drugs can quickly take over anyone’s life. Over time if drug use continues, the pleasure one used to get from their use becomes less pleasurable, and drug abuse becomes necessary for abusers to simply feel “normal.” Drug abusers reach a point where they seek and take drugs, despite the tremendous problems caused for themselves and their loved ones. Some individuals may start to feel the need take higher or more frequent doses, even in the early stages of addiction. In the past, people used to be under the misconception that individuals addicted to drugs were thought to be morally flawed and lacking in willpower. Because of this, addicts were treated more as criminals and punished for their behavior instead of treating it as a health problem and taking therapeutic actions when dealing with an addict. Science has show over the years that addiction is more of a disease that affects a person’s brain and their behavior. Obviously bad decisions and drug addiction can lead people to do things they normally would not, things that are morally, legally and ethically wrong all of which come with their own consequences. Many addicts who suffer from drug abuse and addictions wish they could quit and live a normal life but the resources and the understanding from the public makes it difficult. Many people don’t understand why individuals become addicted to drugs or how drugs change the brain to foster compulsive drug use. Drug, nicotine, and alcohol abuse is a serious issue in the United States; each year more than 100,000 people die from a cause related to their addiction. 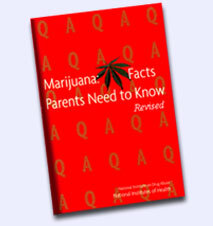 Drug abuse and addiction affects people of all ages and walks of life; babies, adolescents, adults and parents. It is likely that you or someone you know has been affected by some form of drug addiction. As research continues, scientists are able to study the effects that drugs have on the brain and people’s behavior. With this information they are able to develop programs for preventing drug abuse as well as helping people recover from their addiction. When beginning to understand drug addiction people need to realize that it is a complex disease, drug addiction changes the way the brain thinks and it takes more than good intentions to quit.